Wicked Wonderful Words: Ten things I Love About... "A Provincial Lady Goes Further"
Ten things I Love About... "A Provincial Lady Goes Further"
Sometimes it is hard to describe a book or review it because it is really good or really special or really difficult to describe. 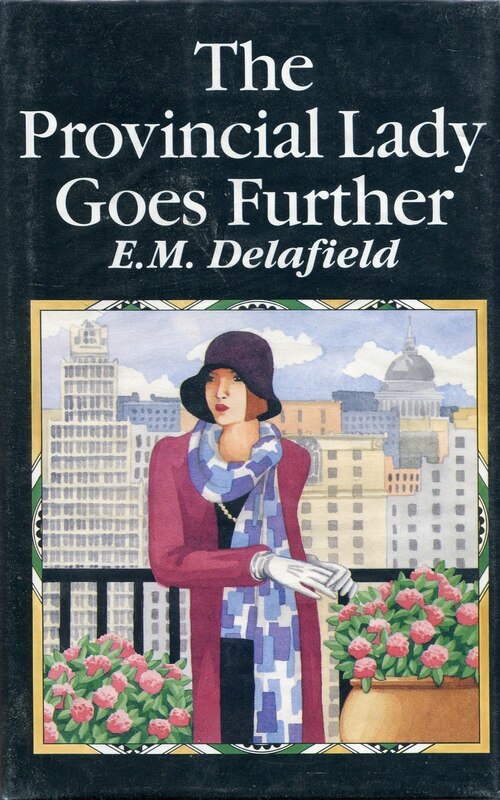 "The Provincial Lady Goes Further" by E.M. Delafield is one of them. The story of the provincial lady and her friends and family. The flegmatic husband Robert, the wild kids and the independent girlfriend. And of course the oh so French nanny and the stuck-up neighbor - the list goes on and on. It is a really wonderful book but I can't describe it so here are ten reasons why I love it - and they are all quotes! 1) On being a published author at a party: "...Pamela lavishly announces that I am very, very clever and literary - with customary result of sending all the very young gentlemen into the furthermost corner of the room, from whence they occasionally look over their shoulders at me with expression of acute horror." 2) On being a published author when having tea with elderly family members: "Tea and seed-cake appear, we partake, and Aunt Mary hopes that my writing does not interfere with home life and its many duties, and I hope so too..."
3) Having spent much time and effort to go to society event: "...on reaching party and seeing everybody else, at once realise that I am older, less well dressed, and immeasurably plainer than any other woman in the room." 5) The dry humour of the Provincial Lady: "Lady F. says Shall we have coffee in the drawing-room? - entirely rhetorical question, as decision naturally rests with herself." 6) About having a second home in London, a small but independence-inducing flat: "Return to Doughty Street flat, and experience immense and unreasonable astonishment at finding it almost exactly as I left it..."
7) On clothing crisis (oh how well I know that! ): "Question of clothes remains unsolved until eleventh hour, when I decide on black crepe-de-chine and new hat that I think becoming." 8) On the trouble with having staff: "Ethel's afternoon out, and customary fatality of callers ensues, who are shown in by Cook with unsuitable formula: Someone to see you, 'm." 9) On going to meet terribly successful niece of girlfriend: "Have a strong impulse to turn straight round and go home again, sooner than confront so much efficiency, but non-stop train renders this course impractical." 10) On introducing traditional husband Robert to rather ...untraditional... friend Pamela: "Pamela opens her eyes very widely and says she has hear so very much about him - (who from? Not me) - and they shake hands. Can see from Robert's expression exactly what he thinks of Pamela's finger-nails..."
If you like a little bit of 1930's glamour and lots of dry humour and witty remarks, please do not miss out on the Provinsial Lady. She really is an acquaintance worth making! Thanks Melissa. 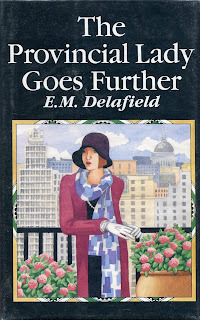 It is a really good one - I found it more entertaining that the first book in the series "The Diary of a Provincial Lady"